A number of years ago, we had a guest concertmaster at the Sunriver Music Festival. He was a genial fellow, rock solid, and low key. His name was Gerald Elias – known as Gerry pretty quickly after one meets him. 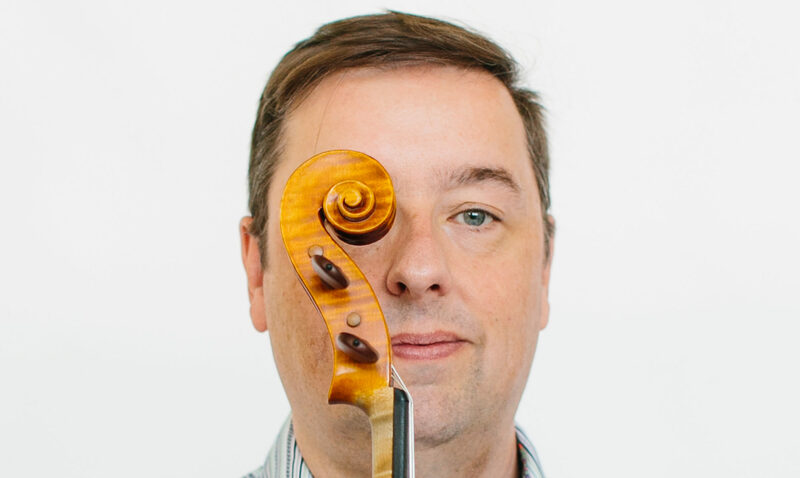 He had (and continues to have) a stellar musical career, he was a member of the Boston Symphony for 13 years, then decamped to become the Associate concertmaster of the Utah Symphony (1989-2011) as well as performing solo engagements and chamber music around the world. Turns out, there was a writer in there wanting to come out, too. In 2009, his first book, Devil’s Trill, was published. It was the first in a series of five mysteries that center on the unlikely character of Daniel Jacobus. Jacobus is a reclusive violinist who could have been in the pantheon of the greats, except that he lost his sight right before things could have catapulted him to stardom. So, Jacobus lives a monastic existence in the Berkshires of western Massachusetts, taking an occasional student now and then, and playing chamber music with the few people willing to be his friend (he is a thoroughly dislikable character, you see). Jacobus is tough on people, but he’s just as tough on himself. I will admit that I am a lover of mysteries. I have read a good many series by such authors as Earl Emerson, G.M. Ford, and J.A. Jance, among many others (these happen to be writers whose series are largely set in the Pacific Northwest). I read other genres as well, but I always come back to mysteries. If they’re well-written, a detective series becomes like an old friend, with each new installment anxiously awaited. If you happen to stumble upon an established series, it’s even better, as you can binge read them one after the other! It’s hard to read a work of fiction that covers an area in which you are, in literal terms, an expert. As a professional musician, I’m immersed in much of what Elias’ books use as their setting. I don’t like to see my life’s work trivialized or sensationalized. I’m sure that cops, doctors, and lawyers also take a similar attitude towards works that are set in their professional realm. I love books and tv shows about those professions, but I don’t have day-to-day intimate knowledge of what it’s like to be in those circumstances. I accept the false reality as it is present – I suspend my disbelief – and enjoy the stories as they unfold. It’s so much harder for me to do with books set in a musical domain. Music is hard to write about well. Music is intangible, which presents problems with many bad solutions, and few good ones. Many writers think that classical music needs to be ‘sexed up’ in order to be interesting. It’s also rarely presented in a way that both the casual reader and the musical insider can enjoy. I have to say that Elias has neatly solved this problem. He writes very knowledgeably about many aspects of the classical music ‘industry’. Topics such as instrument making, instrument insurance, orchestral job satisfaction, difficulties in teaching, and the modern mess of classical music competitions are all covered in this series of books. He uses various characters to explain things in a way that feels natural. He doesn’t dumb down or talk down to the reader. He leads you along with a minimum of jargon. I wrote earlier that Jacobus is not a terribly likable character. That’s not entirely accurate. He’s a curmudgeon with a heart that might have a bit of gold in it, but he’s holding on to that gold with a pretty tight grip. He has lost faith and trust in his fellow man, and so he exacts a high price from the people around him until he is assured that they won’t betray him. He says what’s on his mind, and doesn’t mind who he offends when he says it. Partly, he gets away with this due to his blindness. Who would take an elderly blind man to task, after all? We, as the reader, come to know that there is much in Jacobus that has resulted from his uncompromising demands upon himself – why would he bother to treat anyone else differently? His inner self is largely concerned with the pursuit of the highest quality of respect to the works of the great composers, and that also accounts for his similarly uncompromising approach to those with whom he (somewhat begrudgingly) shares the planet. As a result, he’s very much what you’d expect of a the hero of a hard-boiled detective story, except that he’s a classical violinist. Elias has a wonderful way with dialogue in this series, and I love the joking that goes on early in Playing with Fire, between Jacobus, Nathaniel, and Yumi. I suspect that this reflects Elias’ love of wordplay and puns, just as his settings reflect his love of the Berkshire mountains and New York City. 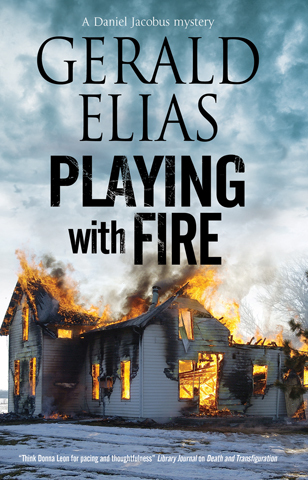 If you love classical music and mysteries, then you will very much love Gerald Elias’ Daniel Jacobus series, and his latest, Playing with Fire, is just the latest success in a very competitive genre. Highly recommended! Disclosure: I’m a Amazon affiliate, and I get a tiny bit of credit for each purchase made via the links above.